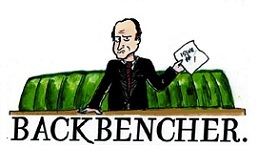 The Backbencher – How to cure the NHS? How to cure the NHS? Whilst in principle socialised medicine in the UK has been one of the most admirable and enviable pillars of our society, the escalating costs and examples of appalling care within the service highlight that reform to some extent may become a necessity in the near future. It is virtually impossible to ignore the constant stream of scandals surrounding the NHS. Negative headlines involving dubious mortality rates, as well as incidents where those within care appear inadequately trained to carry out their jobs do little to support the claims that reform remains unnecessary. It is not just mainstream headlines that act to condemn the NHS; you would be hard pressed to find somebody who doesn’t have their own personal example of poor service within the health service. As a result the NHS is clearly under pressure and a solution needs to be found to restore the pride and integrity of this valuable institution. The majority in favour of reforming the NHS are not in favour of unilateral privatisation but can see the potential benefit in offering up sectors of the NHS to private firms; essentially to the highest bidder. This would create competition with the market for sectors of the NHS like catering and cleaning, in the hope that it would provide a better service than currently available but for a cost. The idea is that the government would still provide a number of core services and essential medication and treatment for free. Areas like catering have come under fire with hospitals reportedly wasting 82,000 meals per day up to a quarter of their food , these astounding statistics prove that as a nation we have become accustomed to, and are now taking for granted our entirely free health service. Under existing austerity measures the current catering system appears redundant and offering the catering out to a private firm, for example, would save an enormous amount of money and potentially provide patients with a better service. There are areas of the National Health Service where cuts have been proposed but would appear to have opposition on an ethical level as well as those who believe the NHS should be an entirely free service. 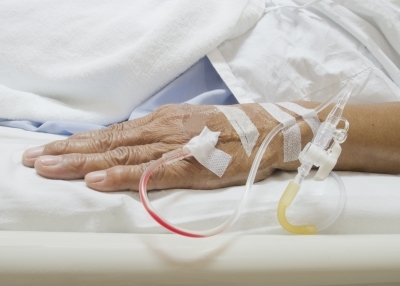 The switching off of life support machines for the terminally ill is where the line should be drawn; in terms of a purely cost cutting measure it sets the moral level of society terminally low. Such a decision should be mutual between the patient’s family and doctor and not by some cost cutting initiative. At the other end of the scale there have been numerous cases of individuals receiving treatments free of charge on the NHS, services which should undoubtedly not be covered by the taxpayer. A model receiving a £4,800 breast enlargement on the NHS is bordering on the ridiculous and tighter measures on treatments provided is as important financially as potentially privatising sectors within the NHS. In order for the British public to be provided with the best possible service and level of care the general attitude has to change, free health care is not to be taken for granted, if healthcare is to be subsidised by the patient it is likely we will get a better service overall. If doctors are more concerned with the patient and their wellbeing and less with cost cutting and budgets the service they provide will be more patient focused. The NHS is a service that is worthwhile and whilst by no means perfect reform is likely to enhance the service and make it viable even under austerity measures. Part-privatisation is a key part of this reform and must be accepted if the NHS is to move forward.